As the weather turns toward the worst, and gray days become a common thread, I cannot help but linger on the past, warm and fresh. In the 1940's, France withdrew from Lebanon. To this day, it is in a summersault between old and new world-- reinventing and revamping its’ character. Walking down the streets, signs still read in French and Arabic (or Arabic and English). Fruit stands on every corner press fresh juice to order, and pistachio pastries laced with honey waft towards the nose. Out of the city, vineyards can be found on hillsides that neighbor crosses mounted high on a village church. It is a country that still understands hospitality, where no meeting between friends is able to last under two hours, and where you will always be offered a bottomless cup of fresh Arabic coffee, laden with cardamom. 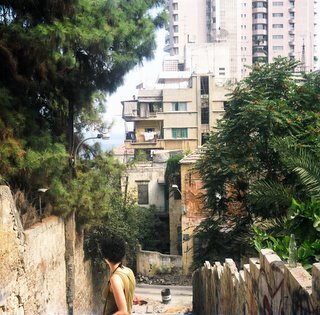 Between 1975-1991, civil war tore through Beirut and its surrounds. From above, the city's white stone buildings are iridescent in the sun and the mountains roll away reflecting the cerulean Mediterranean. Salt is ripe in the air and mingles with trees as lizards dash through legs of a traveler to the safety of a forgotten bullet hole in a nearby structure. Roam the streets and notice wires crisscross overhead in a forgotten and haphazard desperation of gaining electricity during the war-- still in-use. Or suddenly come upon a blocked-off road, where the ground is yet to be re-stabilized. 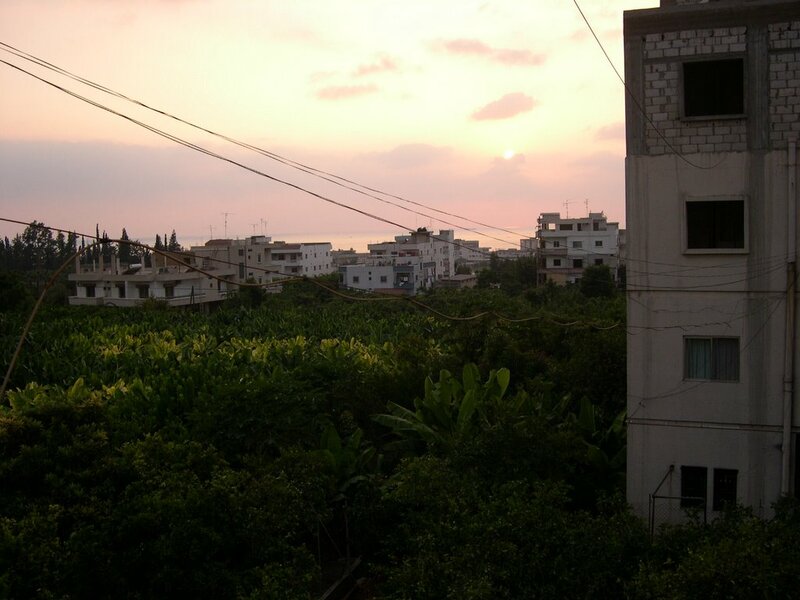 Inside bombed-out-building-carcasses, families create wall-less homes on top floors that overlook city lights. The new hottest club is constructed beneath sacred ground, and luxury high-rise buildings blossom around Roman and Phoenician ruins; barely visible and utter surprises to stumble upon amongst the ever –present cleansing and rebuilding. This is the crazy struggle between tradition and modernity. The Muslim call for prayer rings out. It is a subtle undulation that flows off the salt air notifying the beach bums to rotate their tanning. Women walk the streets fully veiled or deeply bronzed in mini-skirts flaunting the latest fashions. Saudi oil heirs on vacation take to the corniche with their wives to find groups of men smoking nargeela, (Lebanese sheesha or flavored tobacco) lounging in home-brought plastic chairs while others fish in the sea where boys swim. Along this walk, the smell of cardamom is thick with Arabic coffee vendors hocking their product amidst others that grill and sell corn. Food is fresh and fabulous. From cheeses, olives and fresh flat breads at breakfast, to the sweet fruits that complete every meal: fresh figs, dates, melons and mangoes. You dine on what is in season—not what is an able import. Flavors are intensified by this freshness of seasonality. The weather is perfect-- not too dry, and the peach-hued sunsets over the sea make up for any humidity that may linger. 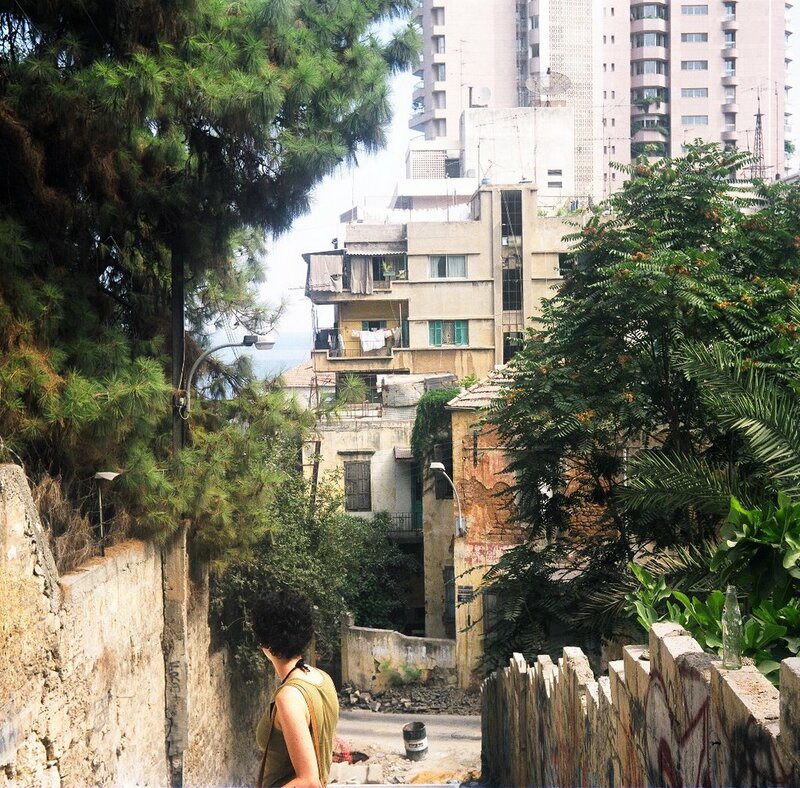 Travel beyond the beach bum days and clubbing nights of Beirut. Hire a private driver and take the road to Balbaak and Ksara in the east, near Syria (easily done in one day). 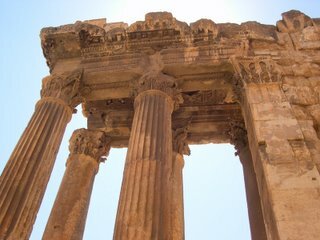 Some of the oldest ruins are found at Balbaak with an ancient population that continued to build upon what was already there, allowing centuries upon centuries of ruins almost indecipherable from the previous. In Ksara, cooling caves under a mountain vineyard, are host to wine tastings. South near Saida, a soap factory is hidden in the old souq, where soap is still made “the ancient way”-- with boiled olive oil and ash. The juices and kebabs in the souq are the freshest I have tasted (fresh grapes taste like rose water, we are told “it’s the sea you taste”)—some of the best shwarma can be found here too. Continuing south, there are generations-old glass blowing studios on the way to the beaches and ruins of Tyre (a port town a stone’s throw from the Israeli border). This city, once a major trade route between Israel and Egypt, as well as the rest of the Mediterranean, has since been left in disrepair from civil war days, retaining its beauty. North in Byblos we find where the written word began and paper spread throughout the world. Mountain peaks overtake the eyes where (surprise) temperatures dip low enough for skiing in the winter. It is difficult to leave such a paradise that is a true Eden. Place the olives in a dish to eat as-is. Do the same for the feta. Put the lebne on a separate plate, sprinkle with zataar and pour about 1 Tbl ev olive oil over the lebne. Serve with baba ganoush (recipe below), flat bread, and your favorite salad. Use the flat bread as a spoon to scoop up thebaba and cheeses. 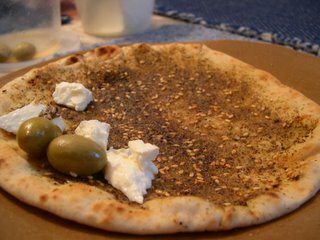 (A popular great-tasting snack is to brush olive oil on a piece of flat bread and dust with zataar, pictured. Toast until lighly browned in a toaster oven. It tastes great with the lebne and feta seasoned this way). 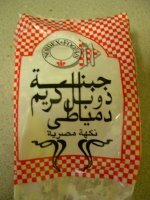 BABA GANOUSH. (10 min cook,15 min setting time, 5 min prep). This recipe has a great smoky flavor. Recipe is the same for hummus (with only about 10 min prep-- minus the eggplant and flames, everything else is the same. Just buy a can of garbanzo beans (chickpeas), drain the liquid, and use a blender instead of a potato masher). 1. Brush the eggplant with olive oil. On a stove’s open flame, cook eggplant. Rotate periodically (easy with long tongs) until all sides are crisp from flame and eggplant wilts thoroughly. The eggplant will also become saturated and heavy with juices (some of which may leak onto stovetop). For a large eggplant, this process should take about 10 min. (This method gives the Baba its smoky flavor. Another option is to wrap in foil and bake the eggplant for about 30 min. I have never done it this way, and cannot guarantee the smoky flavor, but I assume it would cut back on juices flowing onto the stovetop). 2. Place eggplant in brown paper bag and sit the bag in the large bowl (eggplant will continue to leak juice). This continues the cooking process of the inside of the eggplant and begins to cool it. Leave in bag 15 min. 3. Open bag, peel and discard as much of the eggplant's purple skin as possible. Cut off and discard vine head. Place remaining meat (with seeds) into large bowl. 4. Mash with potato masher (you are left with a better consistency than using a blender which can destroy the seeds and turn the Baba pasty). 4. Add remainder of ingredients, mix. 5. Top off with another Tablespoon of olive oil and maybe some paprika or parsley for color. 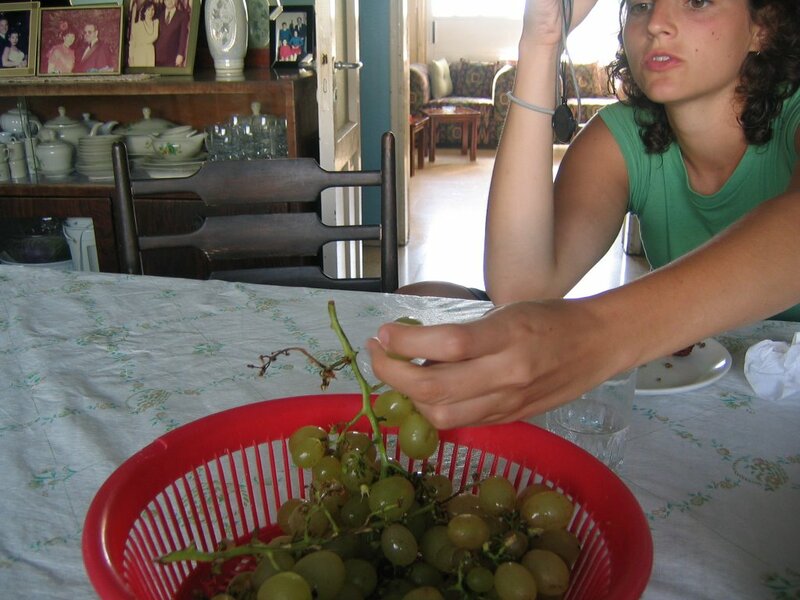 NOTE: A Palestinian friend of mine dices and de-seeds a ripe vine-tomato and stirs it into the Baba. 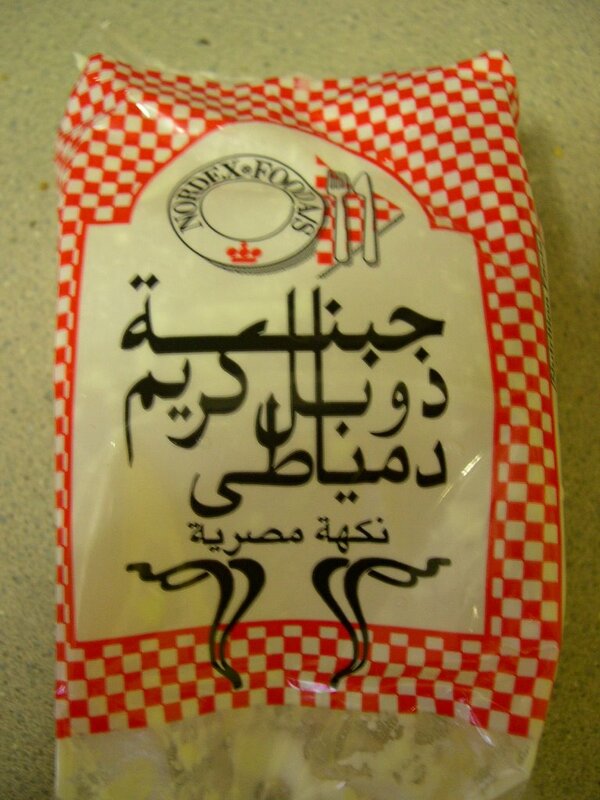 An Egyptian friend swears one can never have too much garlic in their Baba and adds at least 5 cloves to her recipe. Both these are optional, tasty additions. img src="http://c7.statcounter.com/counter.php?sc_project=1071909&java=0&security=50a73ad9&invisible=0" alt="hit tracker" border="0"